The month of September is going to bring us back to reality. We're going to have to part with certain illusions and face the facts. Your expectations need to keep reality in mind. 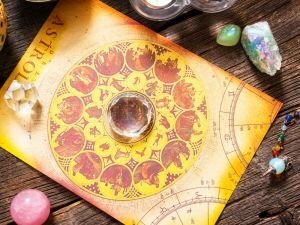 Latest articles along with topics on Monthly Horoscope. Read about stories, mysteries as well as useful advice on Monthly Horoscope. Read the latest write ups along with articles about Monthly Horoscope. The month of June is going to encourage us to start something new, related to communications. Your ideas will be well accepted, while you may even renegotiate certain points that no longer fit the picture. The month of May is here. Some are going to meet a new love. Others are going to devote themselves to adventures with their loved ones. April is here. From an astrological standpoint it provides us the opportunity to renew our relations with those we hold dear in our lives. From the very beginning of the month you're going to feel as if luck is on your side. Things at work are going to head in the right direction and you'll see improvement in your personal life as well. The solar eclipse will be an event of significance, occurring in the middle of the month. On February 15 we may find ourselves feeling confused about our impressions of the world and expressing conflicting behavior. The beginning of the month is going to be peaceful, leisurely but also unfruitful. 11 - Mingle with the world - it's waiting for you. December is pushing you to look for ways with which to be helpful to others. Take on your partner's obligations or care for a sick relative - this will raise your holiday spirit. November kicks off with a full moon in Taurus, which is going to focus us on the physical world. During the 1st 10 days of the month, we'll be able to enjoy anything that we can touch and feel. 1. - Reveal your ideas and socialize. Throughout the month of October you're going to have all sorts of wonderful ideas pop into your head, which you need to share with the world around you at all costs.